…and a fabulous time was had by all! 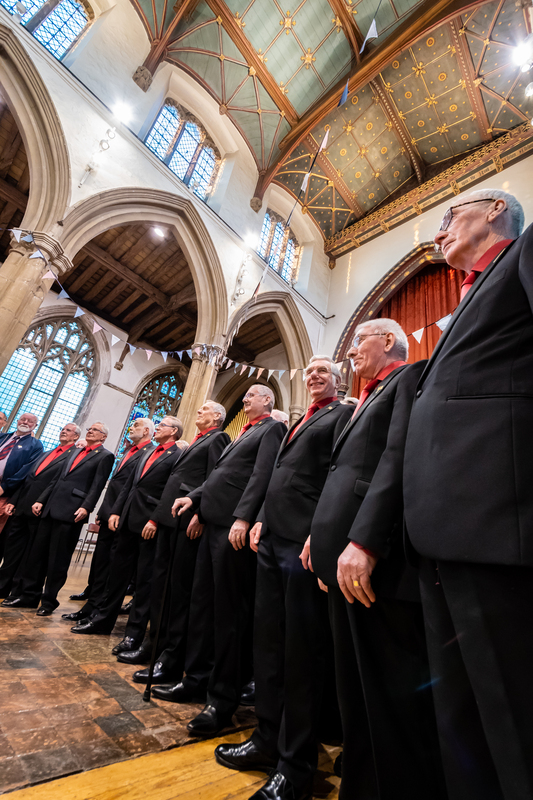 ECMVC enjoyed a truly wonderful time over the weekend of 5-6 May, courtesy of their hosts, Braintree Male Voice Choir. We arrived early afternoon at our hotel in Colchester, with time to relax over a refreshing drink before getting ready for our first concert in nearby Coggeshall. After rehearsing our three joint items with Braintree MVC, we were treated to a lovely buffet tea, setting us up very nicely for the concert, which was attended by a large and really appreciating audience. We then retreated to the pub next door, whose customers were well into a karaoke evening – and that was it! With two ECMVC members being real karaoke addicts, the customers were treated to a number of brilliantly sung items, complete with loud (and quite raucous) accompaniment from the rest of the choir who were both inside the bar and outside, with those on the outside making themselves heard through the open windows! After time spent looking around Colchester the next day, ECMVC made their way to Sudbury, a village just over the border into Suffolk. This was another lovely church building, with another full audience and, as it was the first time BMVC had performed in the venue, it was a great introduction to the art of male voice singing for the locals. Some photographs can be seen in the Photo Gallery area of the choir website, so do please have a wander over there and have a browse through those.